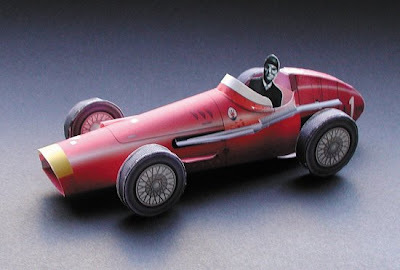 If you ask knowledgeable Grand Prix (or general racing) historians what is the greatest race car of all time, 9 out of 10 would say the Maserati 250F. 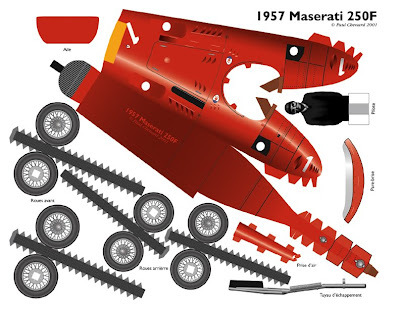 Conceived with little funding, but much enthusiasm, dedication and know-how, the 250F was built along fairly conventional lines, but with an incredible visual aesthetic. 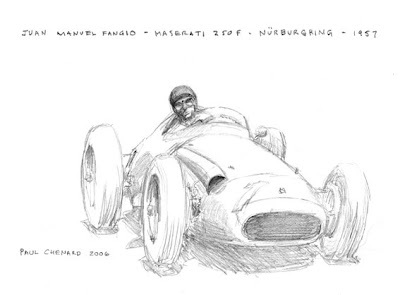 The car looks fast just siting there, and with it's balanced light chassis and powerful inline 6-cylinder engine, it was! 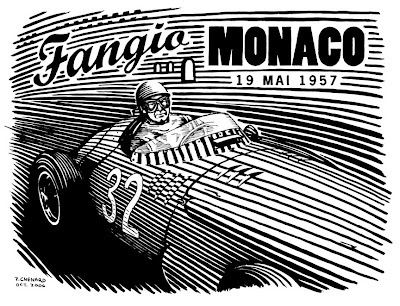 It's first victory came in 1954 at Aintree in the capable hands of Sir Stirling Moss, and it's last major win came in the legendary 1957 German Grand Prix at Nürburgring in the hands of the Argentinean master Juan Manuel Fangio, giving him his last of five World Championship titles. 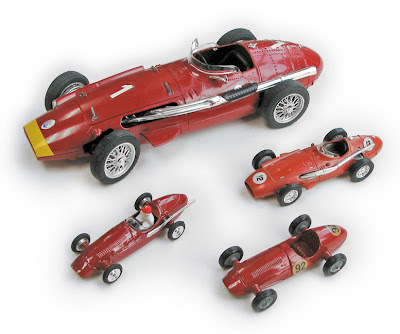 The image above includes the Maserati 250F diecasts in my collection. 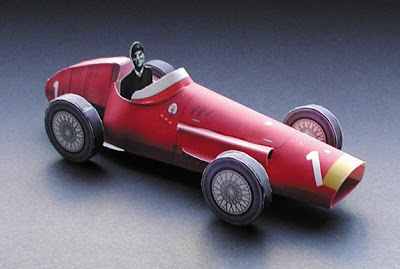 Below, I've included a few of sketches I did of Fangio driving the rolling masterpiece, the heart of the masterpiece, and a paper model I created. I really like the pen and ink one. 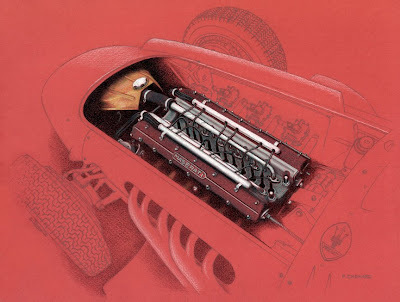 The only thing that bothers me about the 250 is that huge exhaust pipe along the side of the car. Your art is quite lovely too!! !